4. The incorrect belief that traditional publishers spend significant (or any) money and/or time promoting their new authors’ books. I’m sure I’m going to get some flak from traditional publishers about this article. But hey, if they don’t want to be criticized, they should spend more of their profits taking care of their authors (and their authors’ books). But first, we’re going to talk about the ongoing battle between traditionally-published authors and their self-published counterparts. There has always been a division among some holier-than-thou traditionally published authors and those who are self-published. You’ve probably seen some nasty posts online from the hoity toity traditionalists who poo poo the do-it-yourselfers. Well, I come from both camps. I have a traditional contract with one of the Big Five publishers. And, I have self-published 19 other books. I have seen some traditionally-published authors rant against their self-publishing counterparts online, and those diatribes can occasionally degrade to outright harassment and bullying. (Of course, this is a tiny minority of traditionally published author but they can be a very loud minority.) These snobby authors turn their noses up at self-published authors, insisting, among other ridiculousness, that they’re not “real authors,” and that they obviously “can’t get a real publishing contract” because they’ve been rejected so many times, among other downright rude and often incorrect statements. The fact is, many self-published authors avoid contacting traditional publishers altogether. 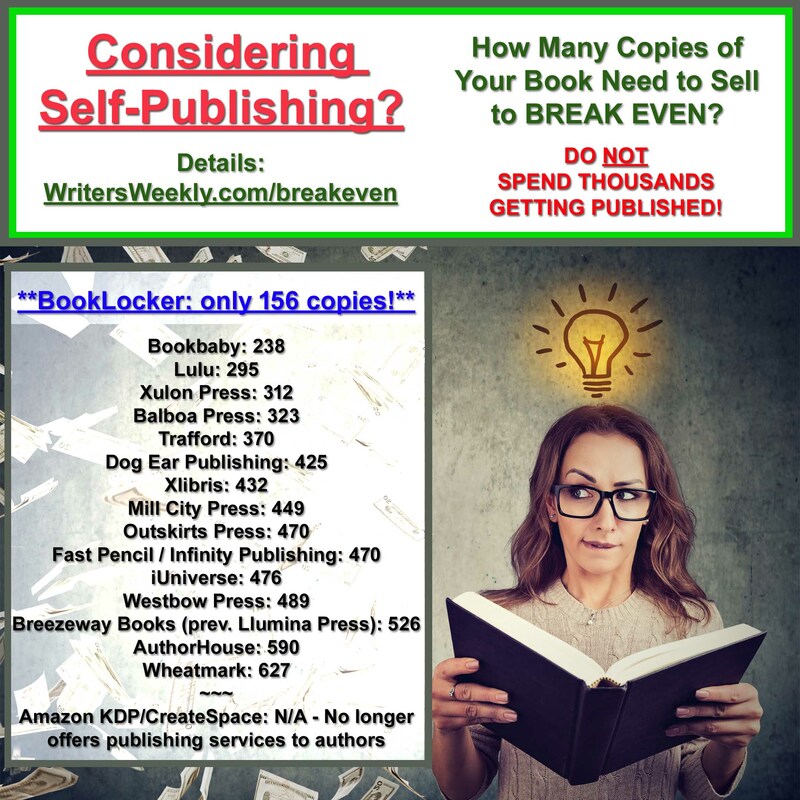 And, many self-published authors are earning more than their traditional counterparts because, due to higher royalty rates, they can make more money while selling far fewer books. Unfortunately, some new authors are so intimidated by the traditional bullies that they may hold out for years for a traditional contract (that they will likely never get anyway) because they are too embarrassed to self-publish. In this modern era of publishing, and with some self-published authors earning thousands of dollars per month, that thought process is just plain silly. 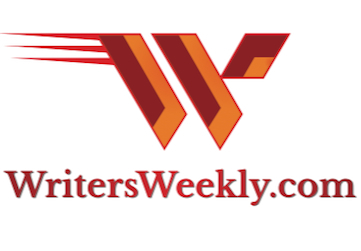 You have a better chance of winning the lottery than you do of landing a traditional publishing contract with a five- or six-figure advance. Most authors who land traditional contracts earn no advance at all. The industry is also very “cheap” (they nickel and dime new authors with little to no advance and insulting royalty rates), old-fashioned (many of their systems are so antiquated that it still takes them a year or more to get a book on the market), and hoity toity themselves, despite the fact that they’re very happy to sign a new author who has previously self-published, and who has successfully sold thousands of copies. “WILL I GET AN IMPRESSIVE ADVANCE, OR ANY ADVANCE AT ALL?” EXTREMELY UNLIKELY. A very common misconception among new authors seeking traditional contracts is that, once they land that contract, their advance is going to finance their writing lifestyle full-time, allowing them to sit a home on their typewriter (I mean keyboard), a steaming coffee mug nearby, surrounded by their favorite dusty tomes, as they leisurely tap tap tap out the next great American novel. Sorry, my friend. Not gonna happen. Unknown authors usually get no advance at all. Even some mid-list authors get no advances, or very small ones (not even enough for a month’s rent). Unless you’re John Grisham, Nora Roberts, Stephen King, or another well-known writer, don’t count on any advance to pay your bills while you write your book. “WILL MOST (OR ALL) BOOKSTORES STOCK MY BOOK?” EXTREMELY UNLIKELY. After your beautiful, shiny, hardcover novel arrives to much fanfare, will it be displayed right near the door of every bookstore? If you’re not that one-in-a-million author who has an immediate best-seller, and if you’re not a celebrity author, your book, if stocked by a store at all, will likely be located on a crowded shelf, deep in the store, surrounded by competing books. But, in most cases, when you walk into any nearby bookstore, you won’t find your traditionally published book in stock at all. With over a million books published each year now, and with millions of titles already on the market, there simply isn’t enough shelf space anymore. And, if you’re a new author, your publisher may have not even pitched your book directly to any stores at all. They may simply be depending on Amazon sales. If you want your local bookstore to carry your book, you’re going to have to pound the pavement yourself…and then that store may still say no. “WILL MY PUBLISHER SEND HUNDREDS OF REVIEW COPIES TO MAJOR MEDIA OUTLETS AND WELL-KNOWN BOOK REVIEWERS?” EXTREMELY UNLIKELY. The reality is that your publisher *might* send 10 or 20 copies out to reviewers. If it takes off, great. If it doesn’t? Your publisher may quickly lose interest in your book, and will move on to another new author, hoping that book will take off. Again, it’s like a lottery. Traditional publishers throw a bunch of books out into the marketplace each year, hoping one will catch fire, turning into an international best seller. If that doesn’t happen to your book in the early stages of publication (I warned you, so don’t be disappointed when it doesn’t), it’s not likely to ever happen with your book. “WILL MY PUBLISHER ARRANGE AND FINANCE A BOOK TOUR FOR ME?” NOPE. The publisher will surely want your book to succeed so they’re going to send you on a whirlwind book tour where adoring fans are going to stand in line to meet you, and buy an autographed copy of your book, right? Nope. Again, unless you’re a very well-known, best-selling author or celebrity, don’t count on your publisher to arrange any book signings at all. “WILL MY PUBLISHER BUY POSTERS, AND MAGAZINE ADS, AND TV ADS, AND OTHER THINGS TO PROMOTE MY BOOK?” EXTREMELY UNLIKELY. If you ask your publisher for funds for posters for book signings, advertisements, marketing materials, etc., or if you ask them to purchase those items, they’re more than likely going to tell you NO. Why? Because they know that you, their hopeful, dreamy-eyed new author, will be forced to fund your own marketing activities after they refuse to do so. Why should they give you any money at all when you’re eventually going to use your own funds anyway out of desperation to get some copies sold? And, why should they put any effort (time) behind your book when they know that, by refusing to help you, you’ll end up doing it yourself anyway? And, of course, for every copy sold due to YOUR efforts, THEY will profit. Those, my author friends, are the cold, hard facts about traditional publishing. So, if you have to give up all your rights, not get any significant (or any at all) bookstore placement, likely have to pay for your own review copies, will not get a publisher-financed book tour, and must foot the bill for your own marketing anyway, do you really want a traditional publishing contract? That’s up to you but I’ve met many authors who regretted signing with traditional publishers, including some who did so AFTER they self-published successfully because, even then, they were still left out in the cold to do (and pay for) everything themselves after the book was released. Yet, then they were earning a MUCH lower royalty percentage. If you’re on the fence about seeking a traditional contract or not, I recommend giving yourself a timeline for landing a traditional contract. If you don’t land a contract in that amount of time, you can then self-publish. If you want to avoid the headaches and the loooooong wait for traditional publishing altogether, BookLocker can have your book on the market within a month and that includes original cover design. You can see BookLocker’s prices HERE. You can see prices of other firms HERE. Also see: SELF-PUBLISHING? – How Many Book Sales Needed to Recoup Your Investment? 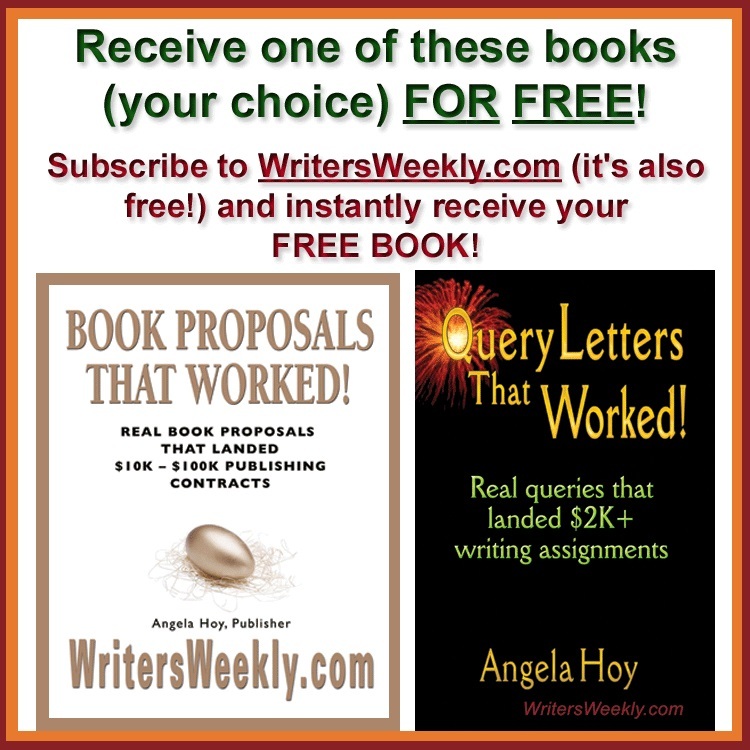 4 Responses to "The Cold, Hard, Ugly Facts about Traditional Publishing…and Why You Might Want to Avoid It Altogether by Angela Hoy, WritersWeekly.com, BookLocker.com, Abuzz Press and PubPreppers.com"
Angela — My first novel was traditionally published by a respected but small press. I got a $3000 advance, space on bookstore shelves around the country, dozens of reviews from ARCs also around the country (including the biggies: Publishers Weekly, Kirkus, Library Journal, The New York Times Book Review, and many newspapers), and support from their marketing staff for publicity materials (photos, posters, etc). And it was, to a point. Did you notice I mentioned sending ARCs to newspapers? Many published reviews BEFORE the book was released — eager readers even called me to find out how to get my book. Who knows how many buyers I lost because of that error? I learned a lot about publishing because of that. It wasn’t an awful experience, but I did learn from it. You’re correct in everything you say — some publishers will do more, others less, but in the end, it’s all going to come down to how much promotion authors are willing to do themselves. I’m now self-publishing, but not for the reasons you mention — I just don’t want someone making decisions for me about my book that I’d rather make myself. (Call me controlling… .that’s okay.) They might be the wrong decisions, but at least I own them. Excellent! I appreciate your publishing savvy and generous detailing of the nuts and bolts of publishing! Angela: I trust you, and I always pay attention to what you say. But since your are focused on “cold, hard facts,” I have to add some from my own experience. I, too, am both commercially published and self-published. My one and only commercially published book sold something like 35,000 copies as a mass-market paperback. I earned back my advance, and then some. Since then, I’ve self-published three novels. The numbers are too inconsequential to keep track of, but all three books combined can’t have actually sold more two or three hundred copies. This is because I don’t know how to do all the things my commercial publisher had professionals taking care of: marketing, distribution, professional booksellers, etc. Younger writers are almost certainly the ones you speak of who have done well as self-publishers: they know how to “game the system” of social media manipulation, etc. 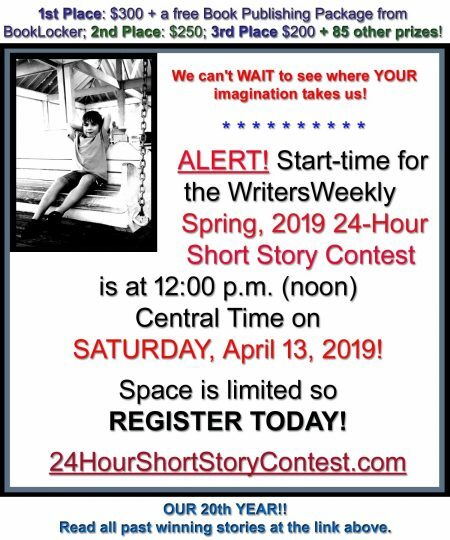 But older writers–who may be the better writers (guess who I include in this group) –are out of luck. This may be too vague to be of any use, but I have a friend who edited an anthology for a small but traditional publisher. It’s been three years, and he has yet to receive his first royalty check.